Anyway, obviously realising that it was all a bit odd, Haydy from Joe Blogs contacted me again and this time, I snapped her hands off. 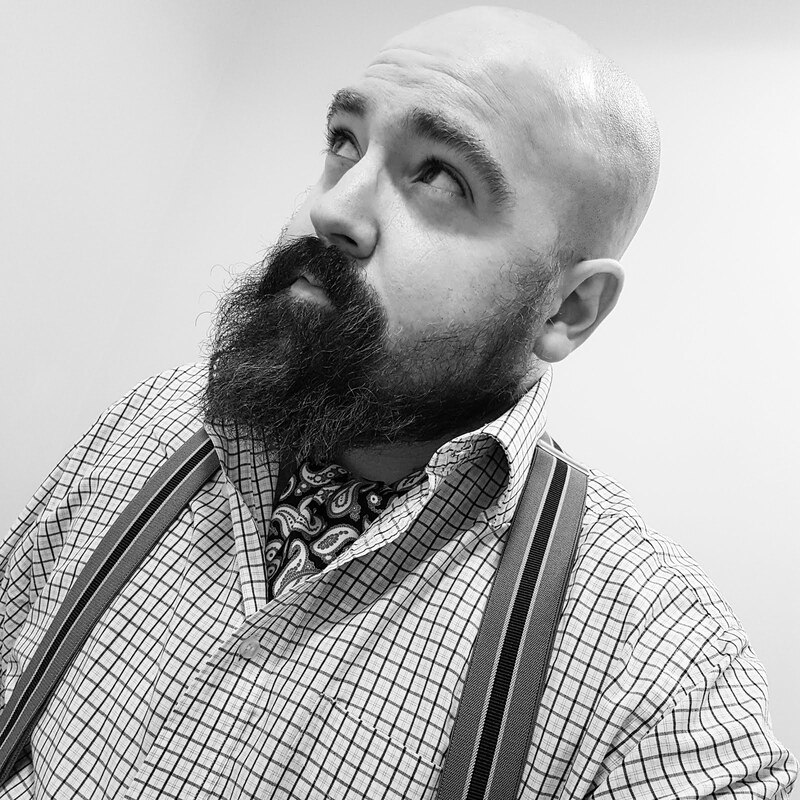 So on Wednesday, I toddled over to the Copthorne Hotel Manchester. 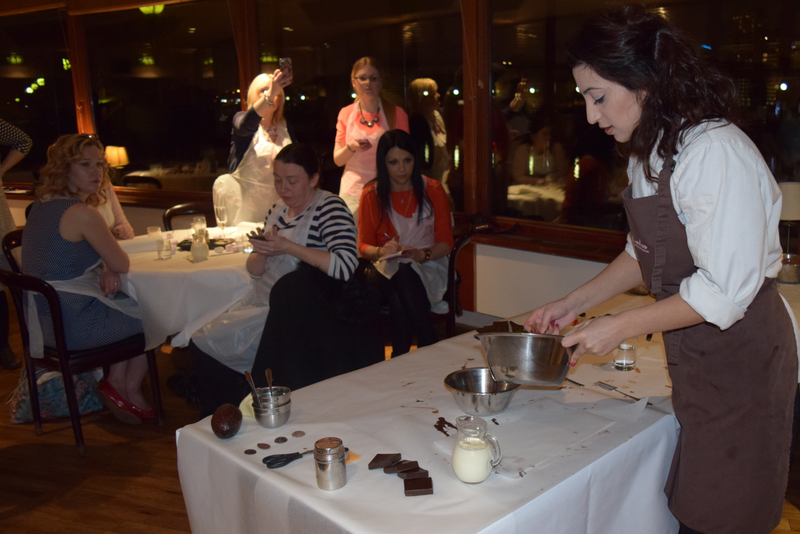 The Copthorne Hotel Manchester was a rather lovely setting for a chocolate masterclasses, with a tranquil waterside location. I always underestimate how many people will be at things like this. 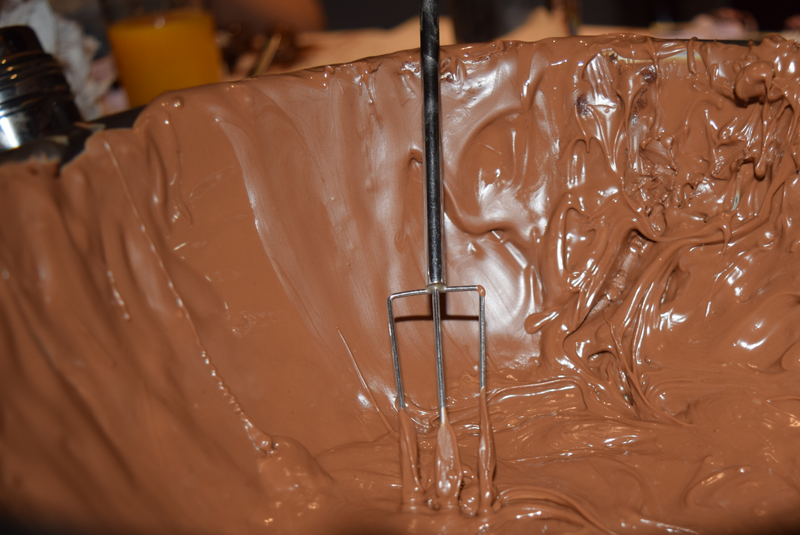 I expected about no more than ten of us but there was actually around thirty chocolate loving ladies. And me. The only chap there. That only supports my theory that male bloggers are an endangered species. Perhaps I should start some kind of an appeal. Now there’s a thought. After a glass of fizz, chit chat and canapés, the masterclass got underway. 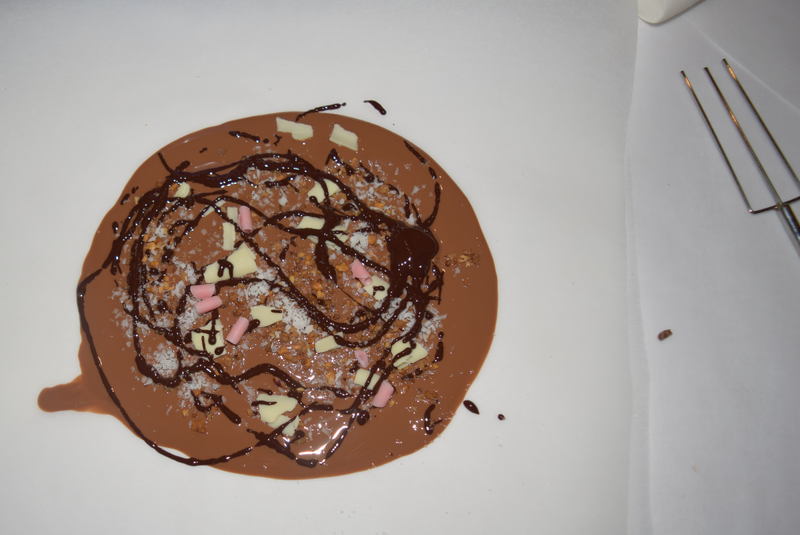 Our lovely chocolate expert talked about the history of it and how it is made. I conducted a little more research afterwards (such is my nature) and discovered that some of the classics in chocolate were invented over a glorious period from 1930 to 1937. This includes the Crunchie (1930), Mars Bar (1932), Black Magic (1933), Aero (1935), Maltesers (1936) and the truly golden year of 1937 which produced Kit Kats, Rolos and Smarties. Crikey. Anyway, facts such as these are all well and good but I was tickled pink when the time came to make our very own giant chocolate buttons. 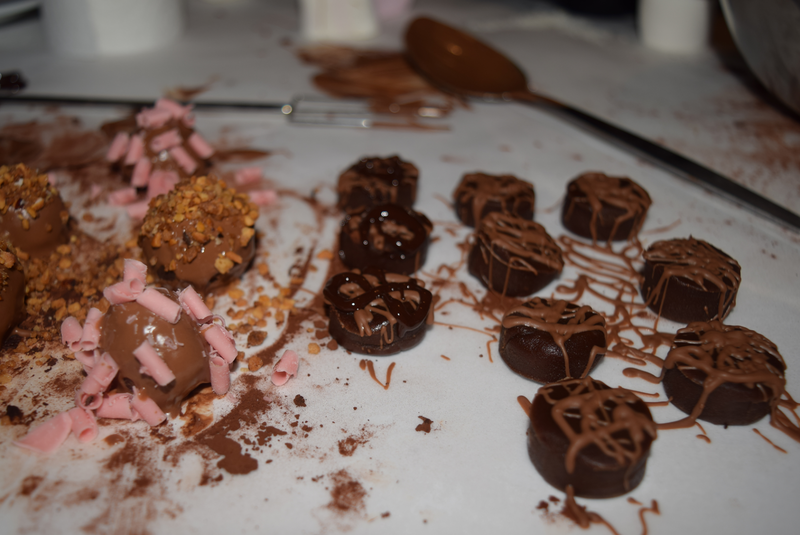 We also made ganache truffles, which involved your favourite protagonist being armed with a piping bag to produce some rather dubious looking specimens. The bloggers were good company and very sweetly put up with my moments of randomness. I was especially pleased to finally meet Rachel off of Vintage Folly. Thanks awfully to Haydy at Joe Blogs who I was privileged to meet in person and the exceedingly polite staff at the Copthorne Hotel for providing me with a little midweek treat. 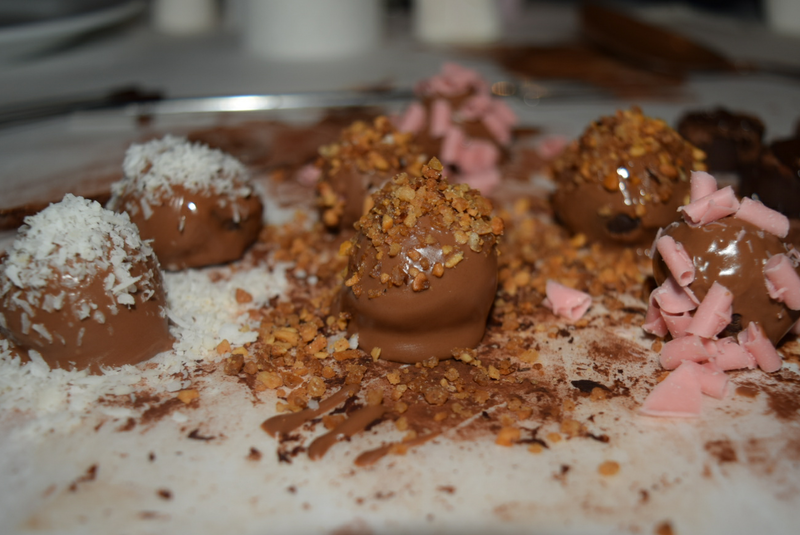 If you have a sweet tooth like me, the Copthorne Hotel have helpfully put together a list of the best chocolate experiences in Blighty for your delectation.